Charles Pasqua (18 April 1927 – 29 June 2015) was a French businessman and Gaullist politician. 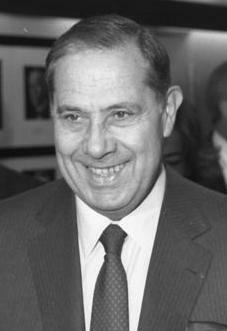 He was Interior Minister from 1986 to 1988, under Jacques Chirac's cohabitation government, and also from 1993 to 1995, under the government of Édouard Balladur. Charles Pasqua Facts for Kids. Kiddle Encyclopedia.